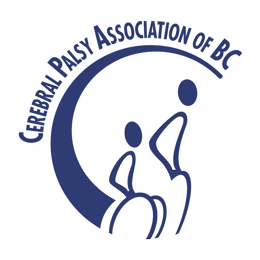 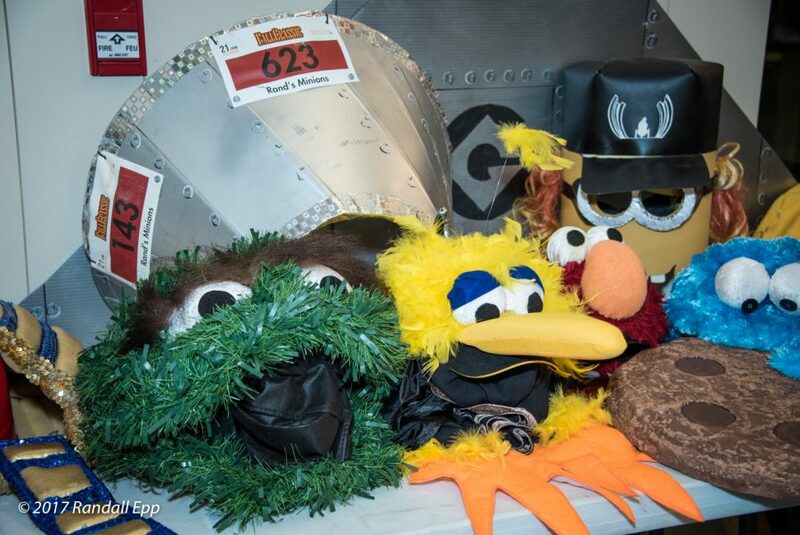 Thank you for being a part of our one-of-a-kind event! 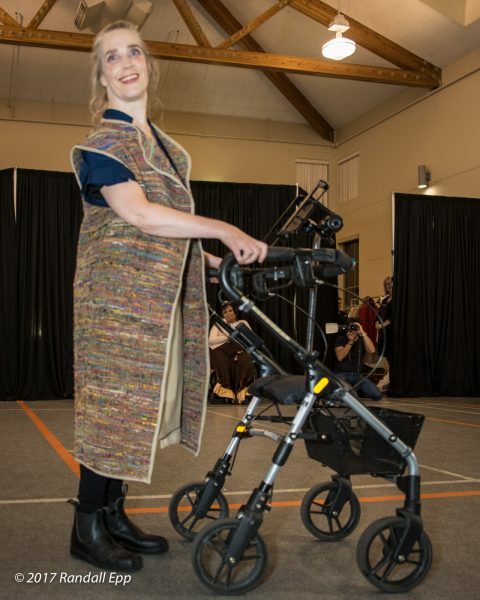 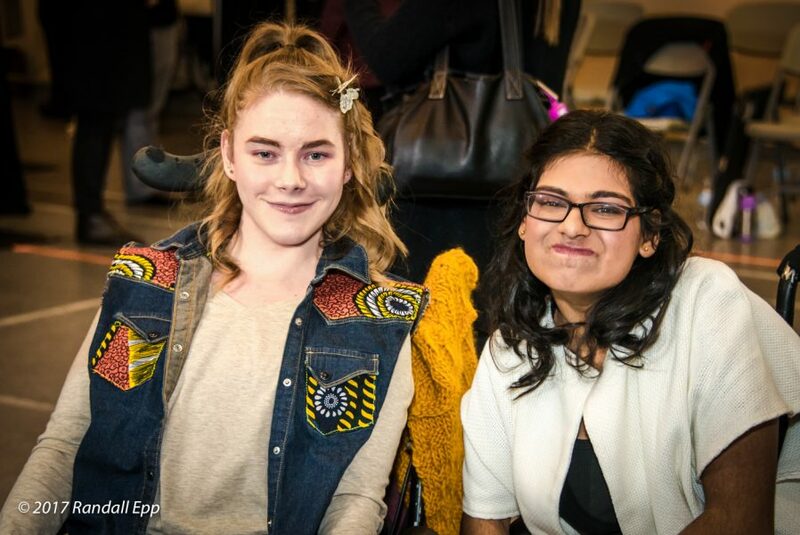 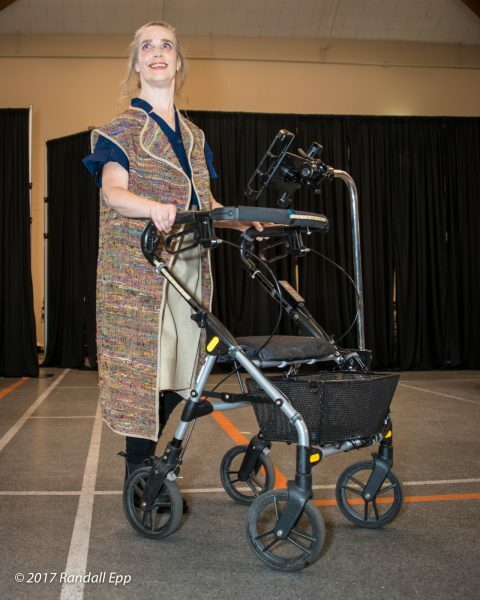 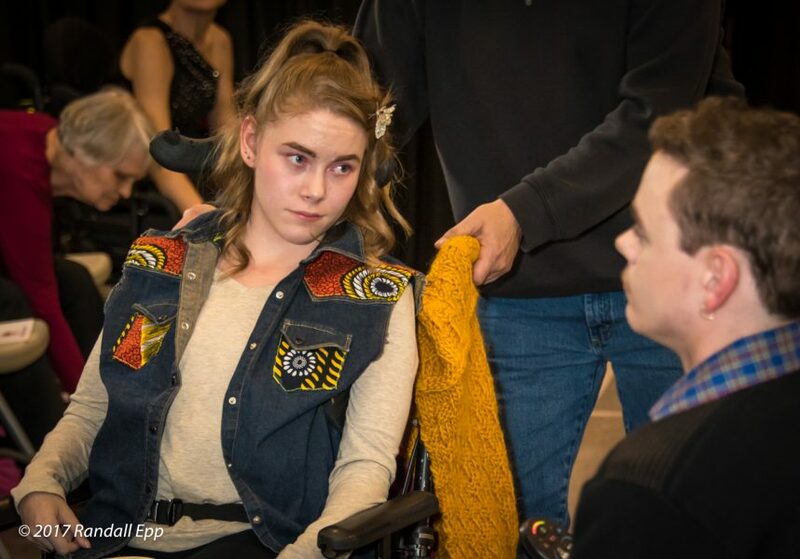 On November 1st, 2017, the Cerebral Palsy Association of British Columbia marked Canada’s 150th anniversary with Fashion Without Limits: Diversity in Motion, a multi-disciplinary showcase of the disability community. 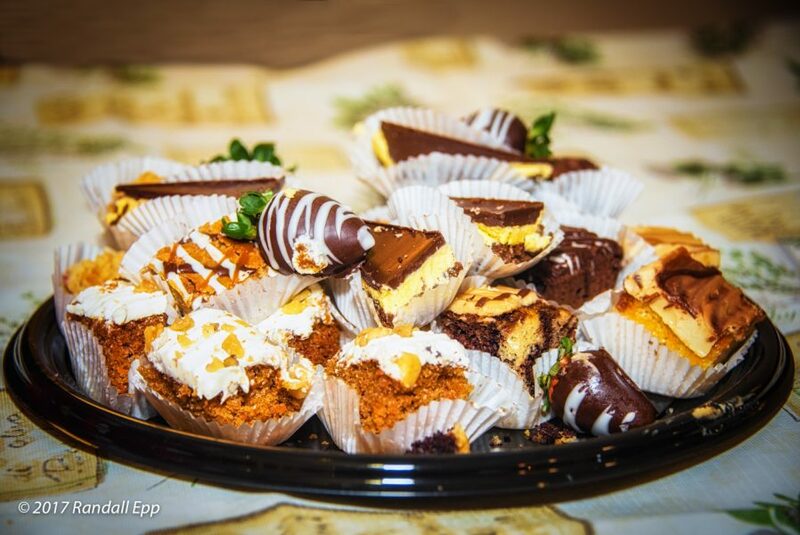 Relive the evening with us! 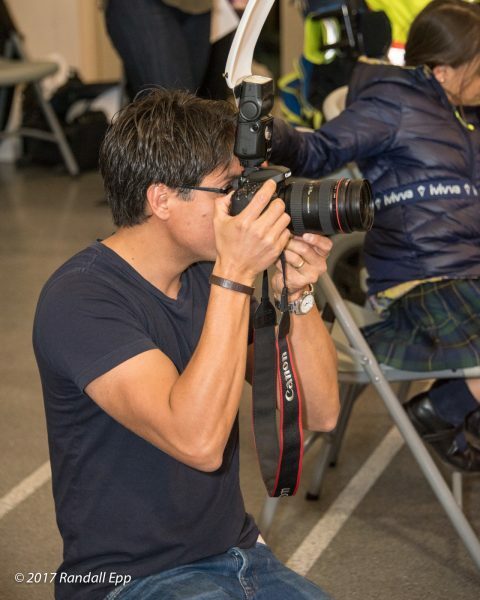 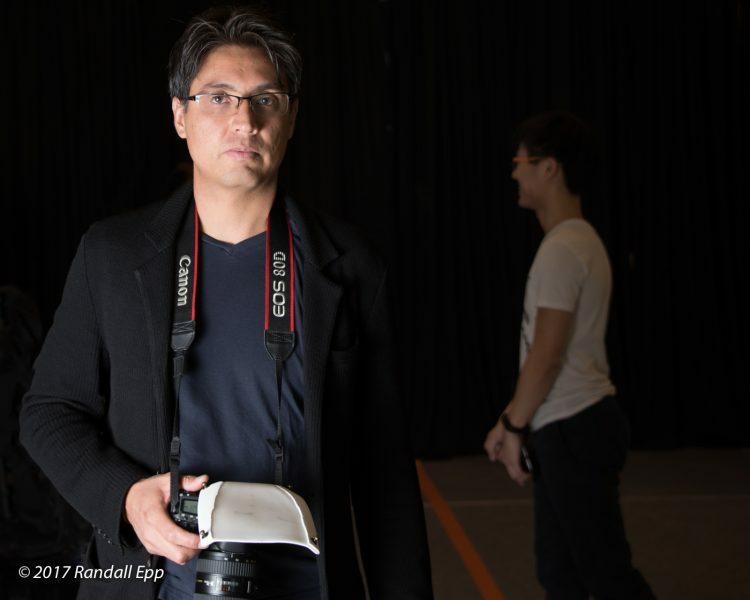 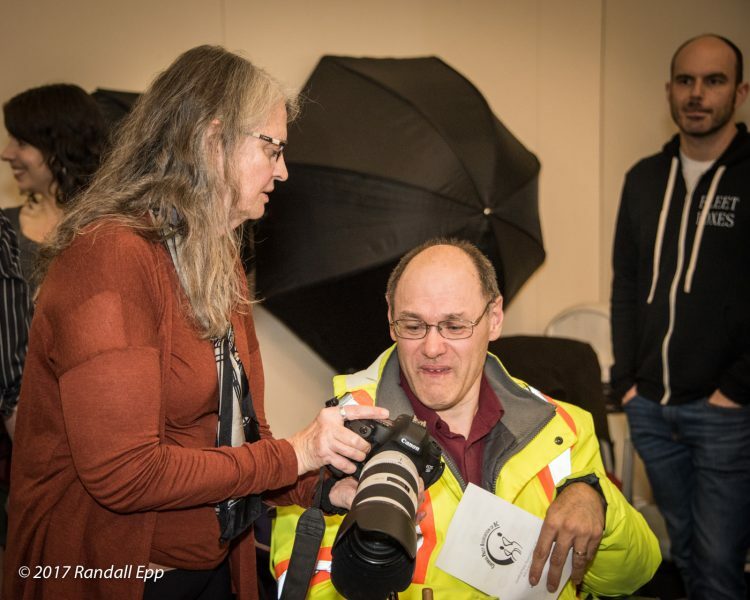 Thank you to our photographers, Gail Stephan, Randall Epp, and Jose Manuel for capturing our first ever, Fashion Without Limits: Diversity in Motion. 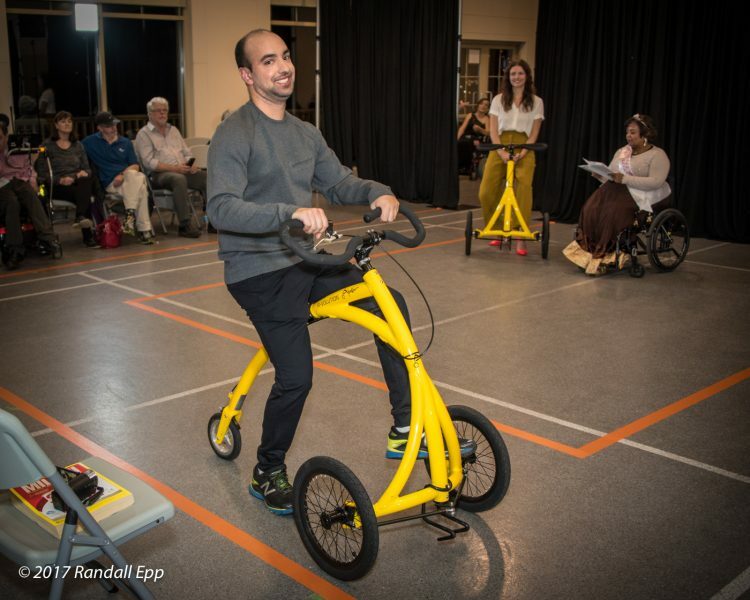 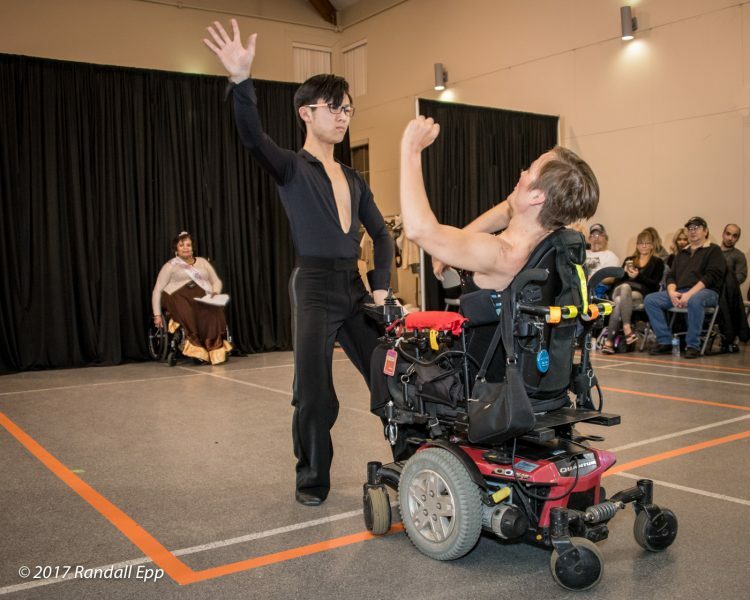 In honor of two of our most boundary-pushing, progressive members, Jason Cole and Rand Surbey, we are renaming our Equipment Assistive Devices fund after them. 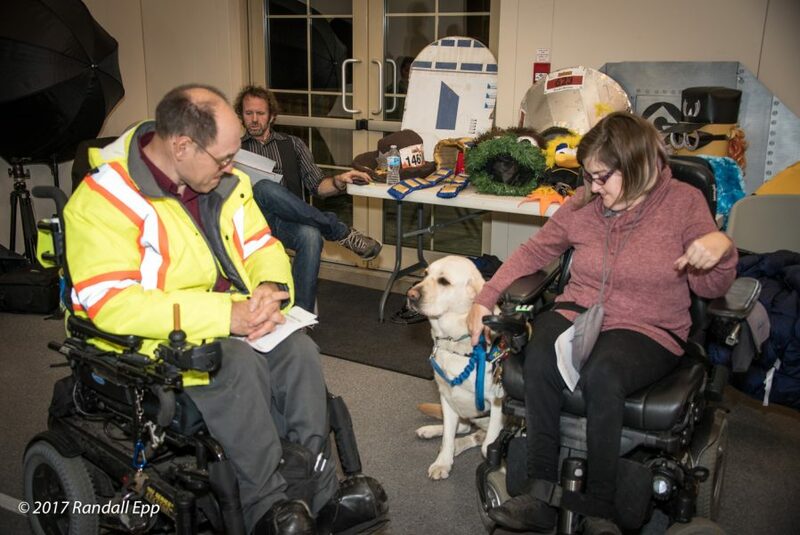 Over the following few years, they participated in several hikes together, and formed a friendship based on the common goals of inclusivity and adventure. 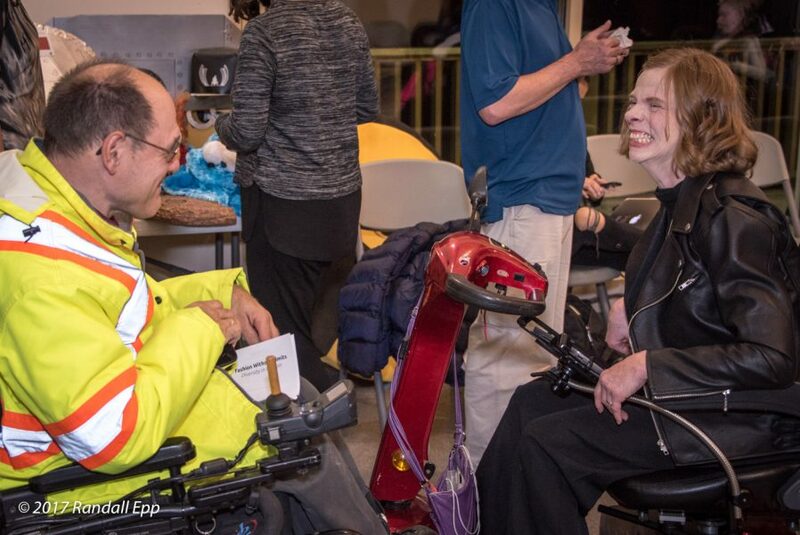 This friendship evolved into a partnership focused on helping others realize these same goals through education and participation in numerous high-profile sporting events and lectures. 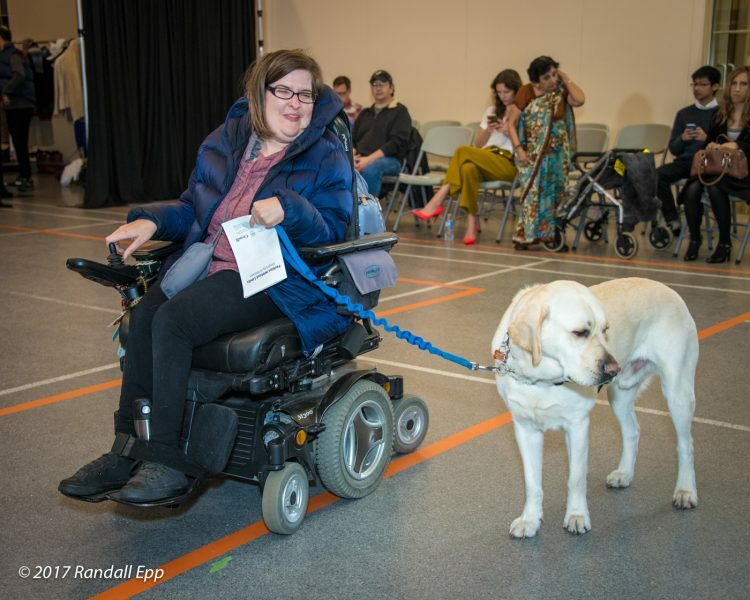 Together, they promote inclusion for all regardless of physical or financial abilities and believe nobody should be left behind. 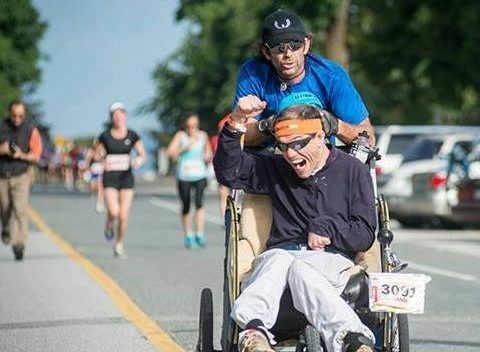 Jason Cole and Rand Surbey have gone the distance in so many different ways for the Cerebral Palsy Association of BC. 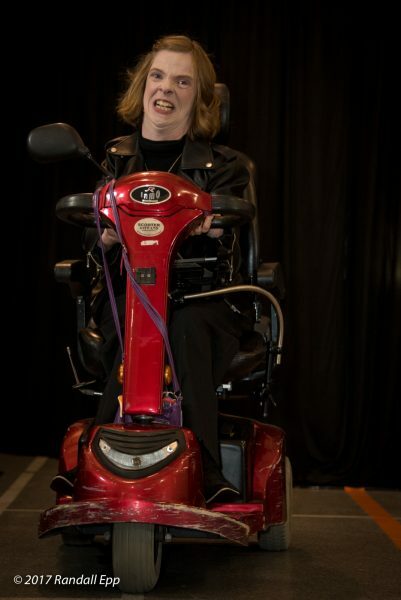 Their fearlessness and philanthropic spirit embodies what the Equipment Assistive Device fund was, and is, meant to be. 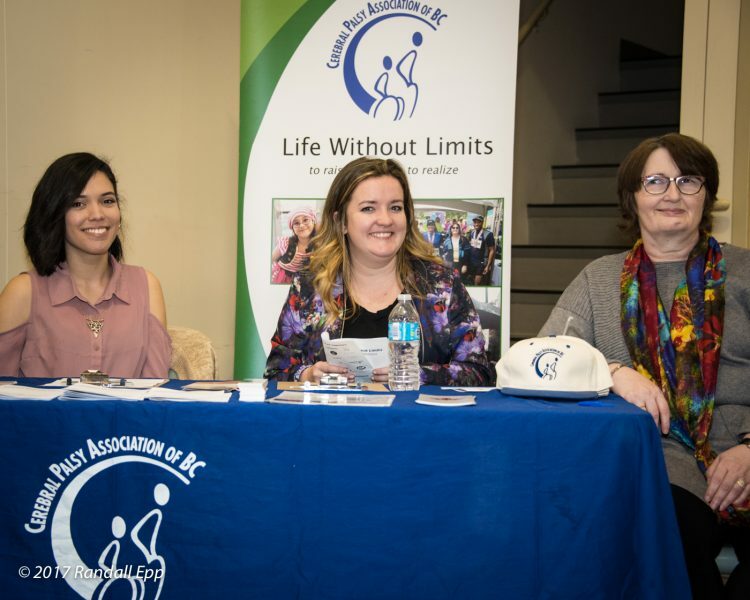 This program was developed to help people living with Cerebral Palsy enjoy Life without Limits, offering financial assistance for the purchase of assistive devices. 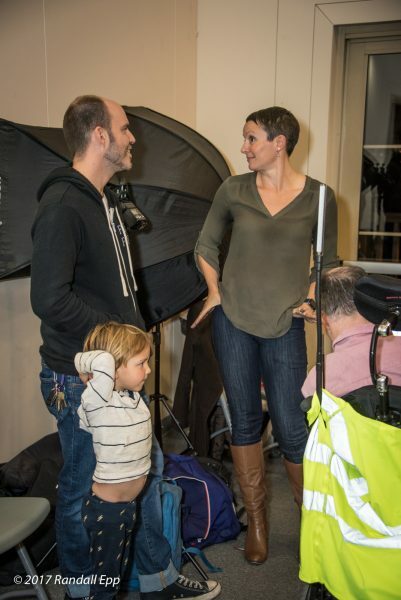 Now, the fund finds a new life with these two exceptional individuals. 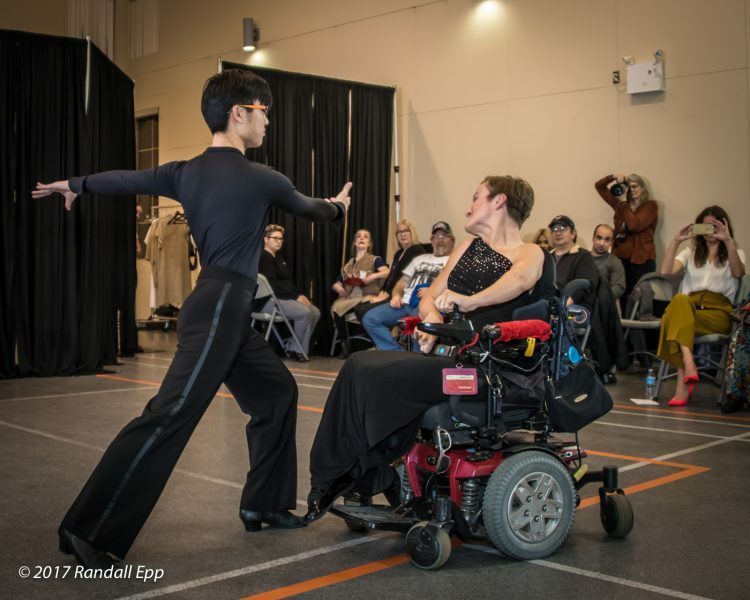 Dynamic duo, Olesya Kornienko and Arnold Ip will be performing their ballroom dancing routine for the evening. 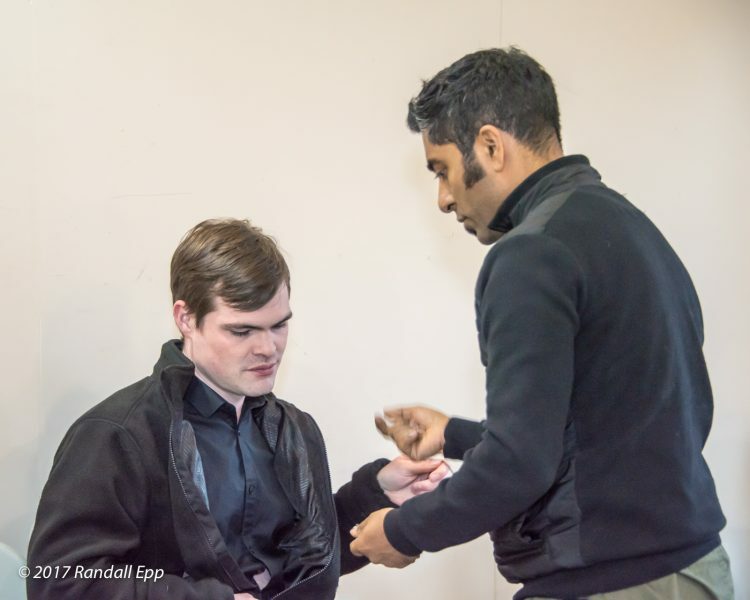 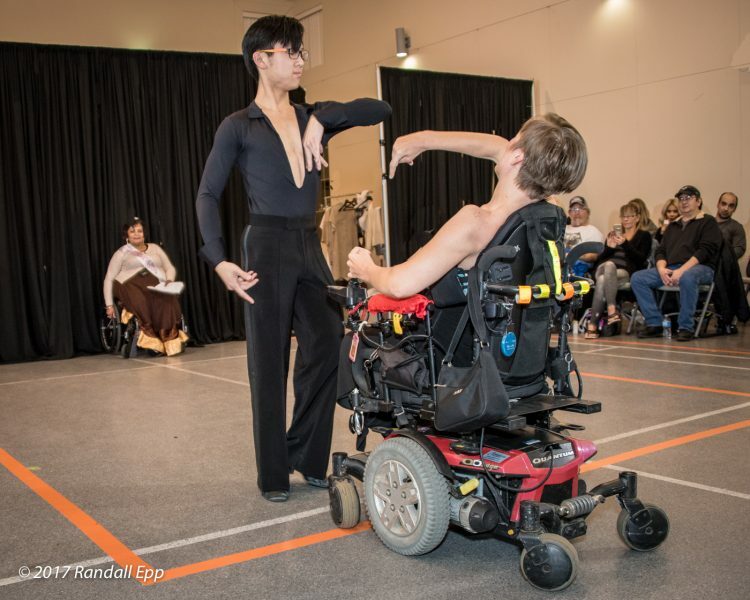 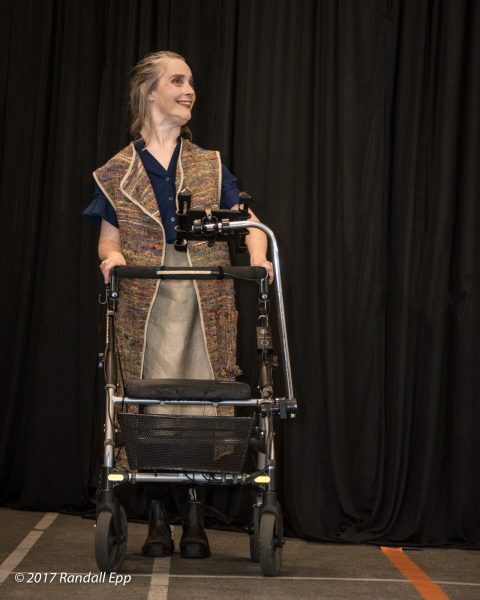 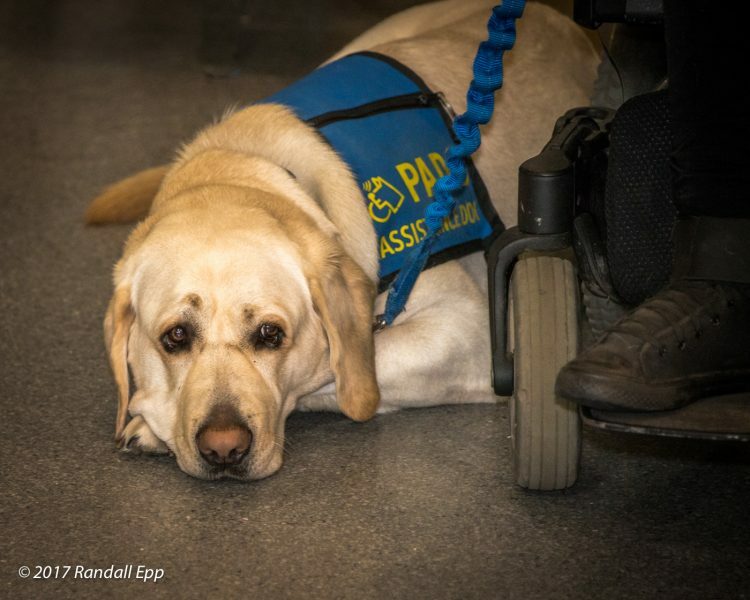 The decorated wheelchair ballroom dancer introduced the art to Arnold four years ago, and they’ve been stunning crowds and judges with their moves ever since. 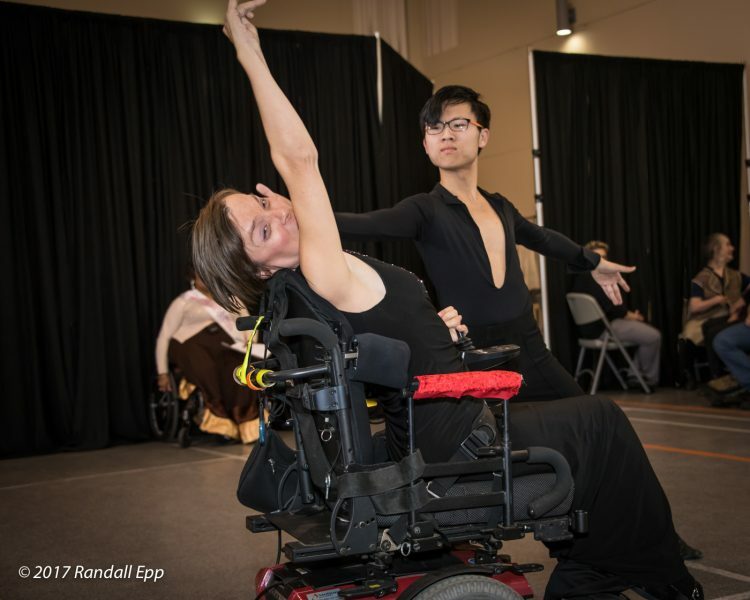 Their showcase will display traditional ballroom dancing moves with an adapted twist. 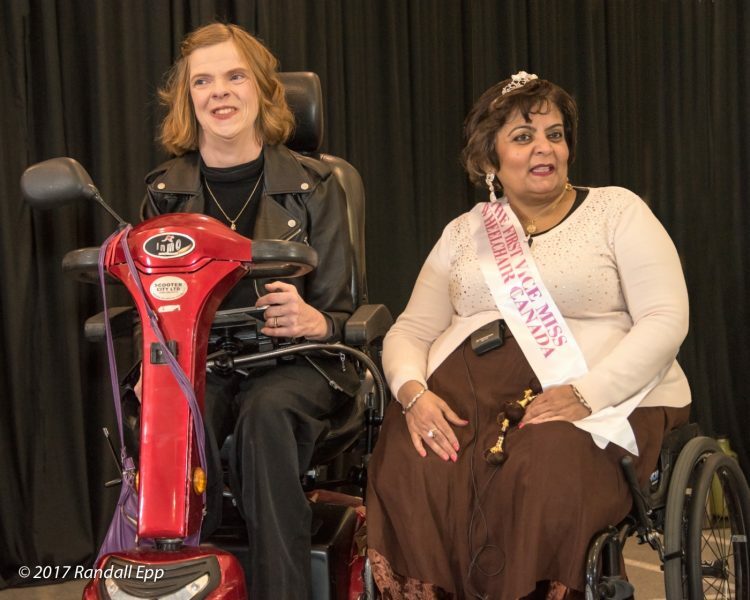 You can expect an entertaining show of power and grace from the pair! 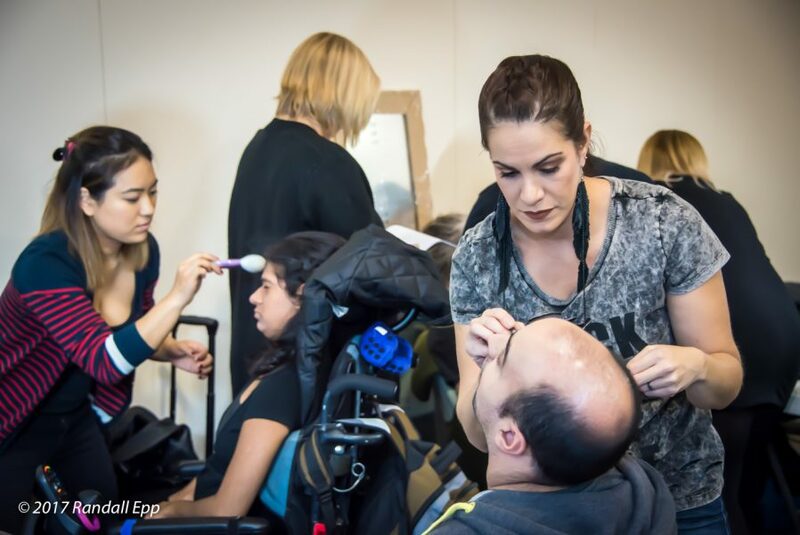 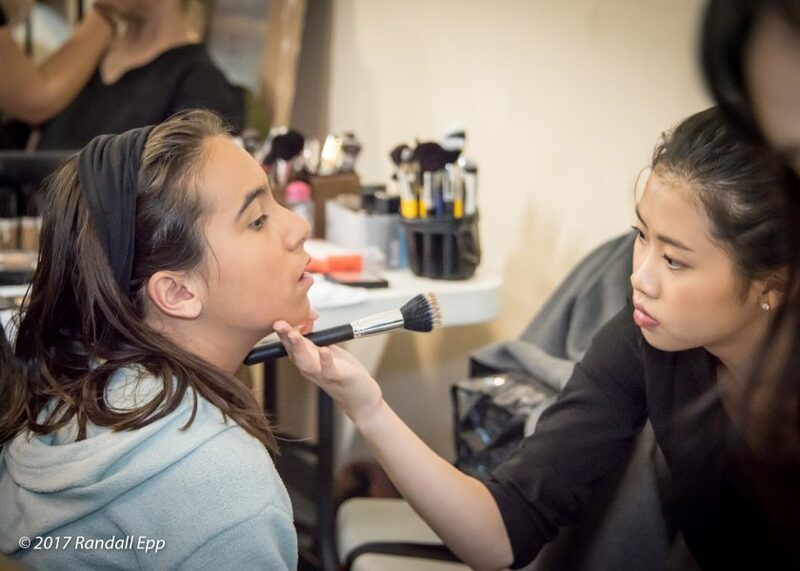 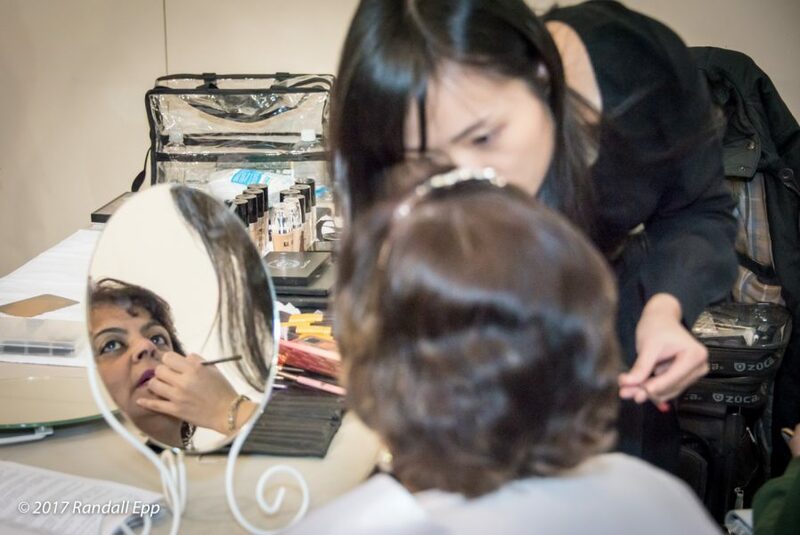 Without our lovely models, creative designers and generous fashion companies, this fashion show would not be possible. 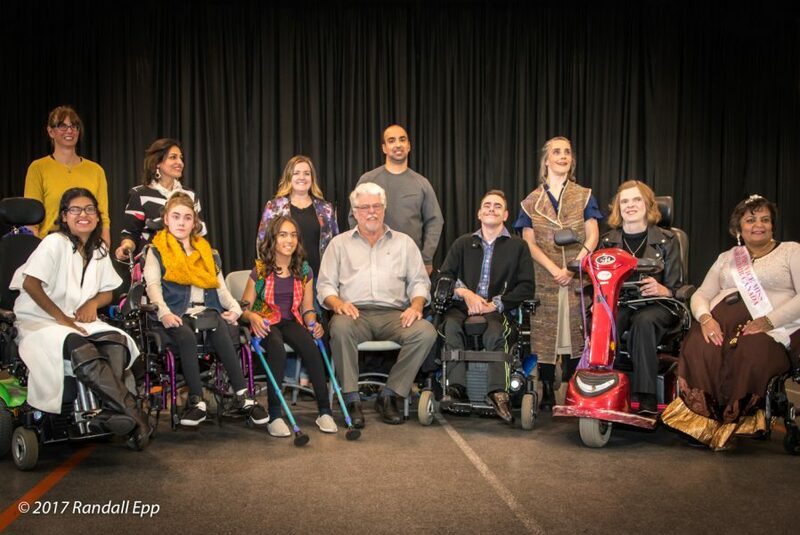 Here are all our volunteers that are making a difference for Canada 150! 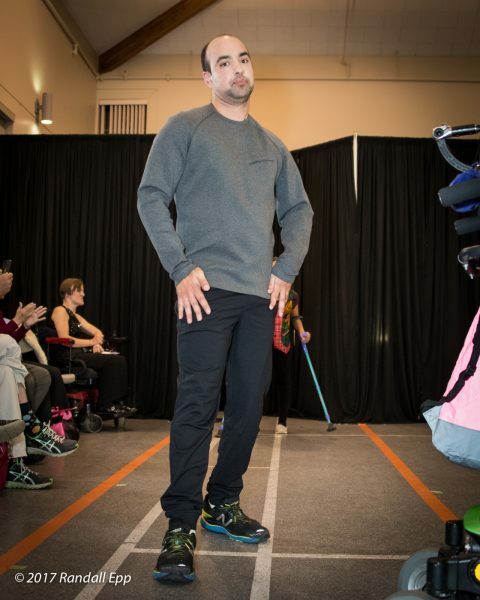 As a volunteer hiker guide for people with disabilities, Jason Cole sees first hand the power of adventure and participation in sports. 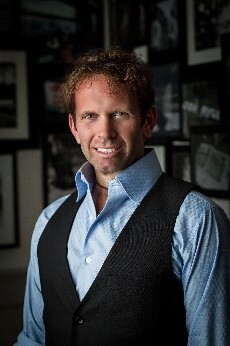 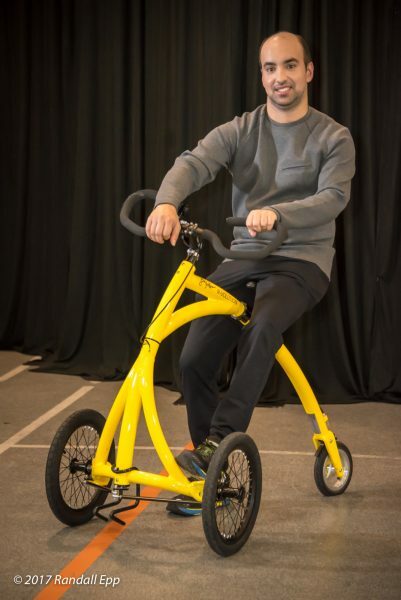 Using his skills as a mechanic, engineer and inventor, Jason started building special equipment, which he donated to anyone interested, designed to allow people with disabilities to participate in activities they are otherwise excluded from, based on either financial means or physical abilities. 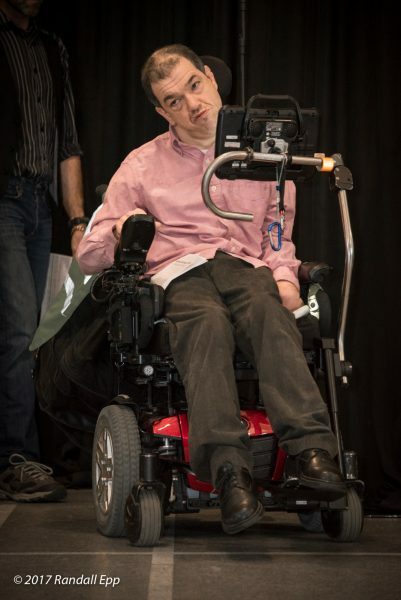 He used this equipment to help Rand participate in the Tough Mudder, as well as various half marathons, most notably the Scotia Bank Half Marathon, where his team contributed to the fundraising efforts of the Cerebral Palsy Association of British Columbia, while sporting colourful and creative costumes to draw attention to the charity and their cause. 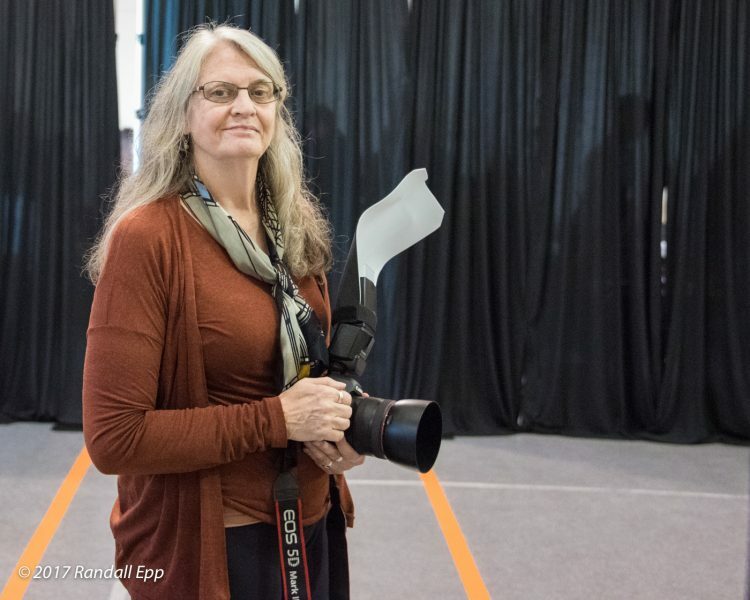 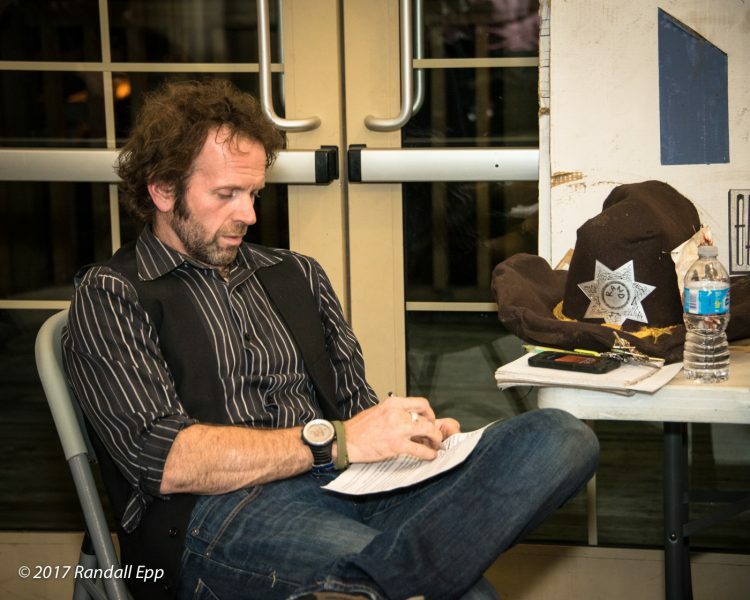 CPABC member and avid explorer, Rand makes the most of every single day with a smile and a sense of adventure. 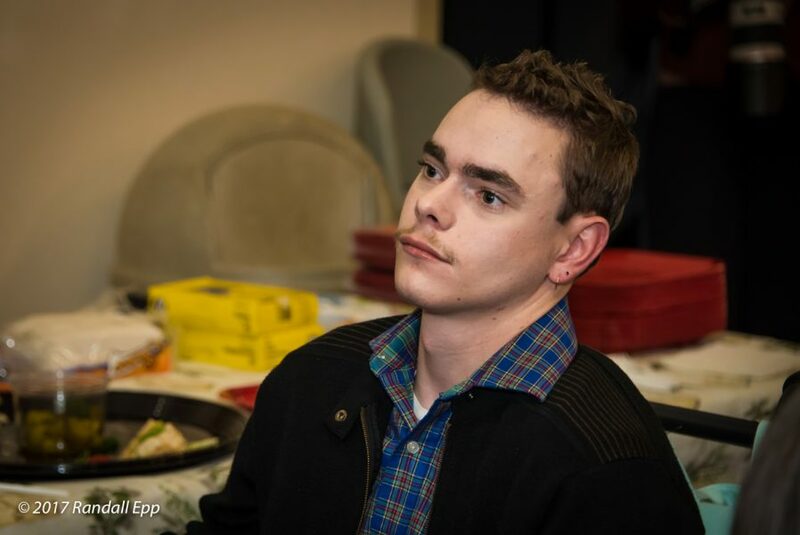 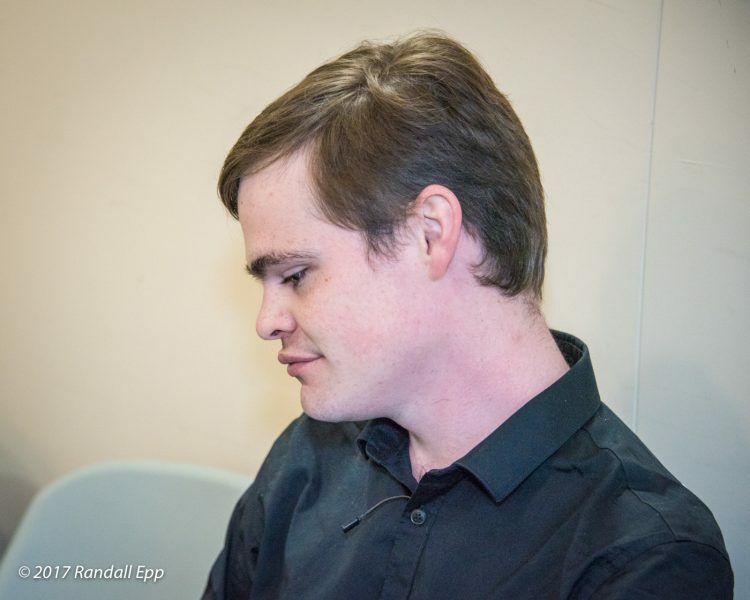 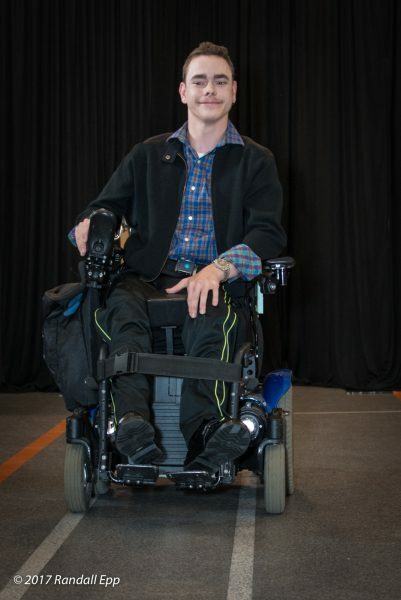 His cerebral palsy has never stopped him from going out and living an active life to the fullest. 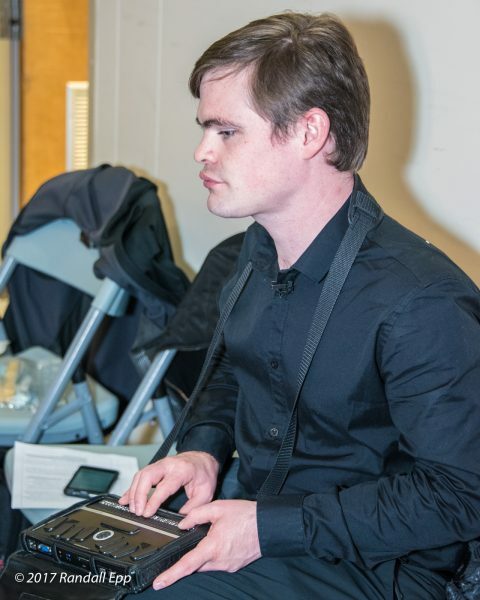 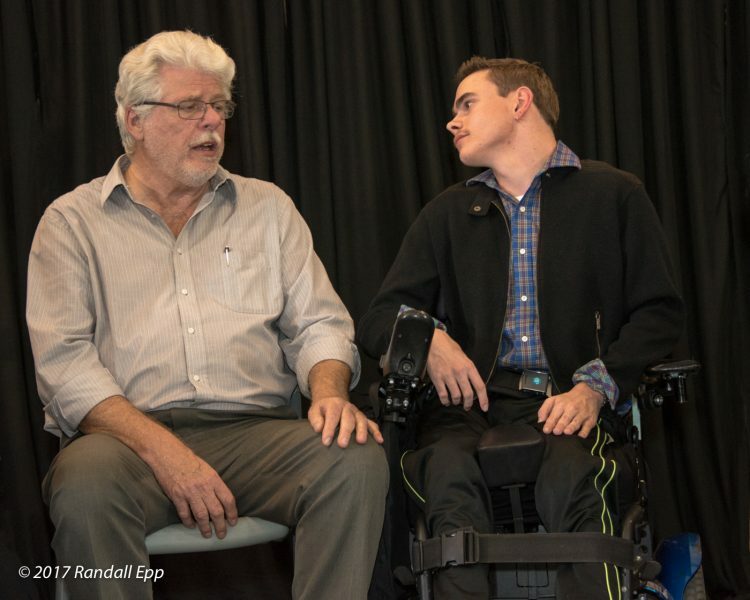 Using a powerchair to get around and a soundboard to communicate, his technology has enabled him to speak for events like, TEDtalks and participate in marathons and fitness challenges. 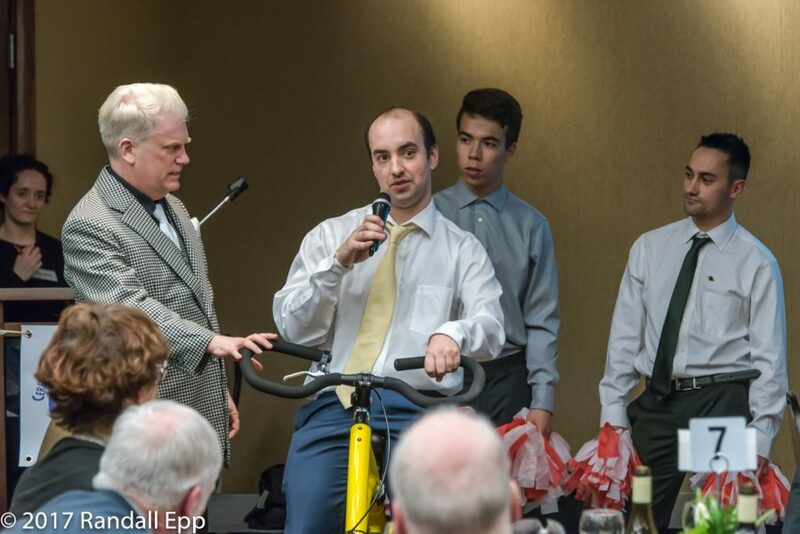 As part of the dynamic duo that was Symbiathletic, Rand has always been the driver when it came to athletic events. 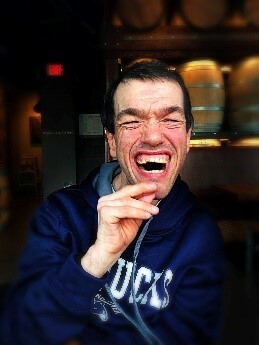 With his big grin and competitive spirit, he’s broken world records and shattered expectations alongside Jason Cole. 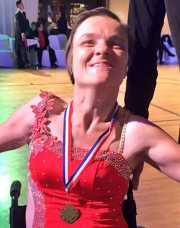 Since the 90’s, dance has been an integral part of Olesya’s life. 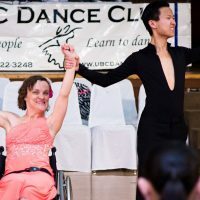 The decorated wheelchair ballroom dancer has participated in events in all over Poland and Canada but she is not just in it for the accolades. 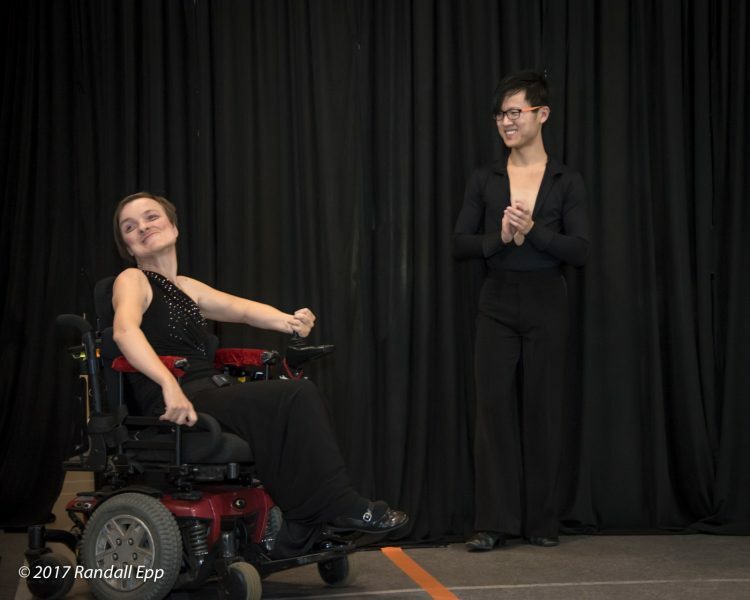 To her, dance is more than just a sport, it’s something that transcends the boundaries between able-bodied and non-able-bodied persons. 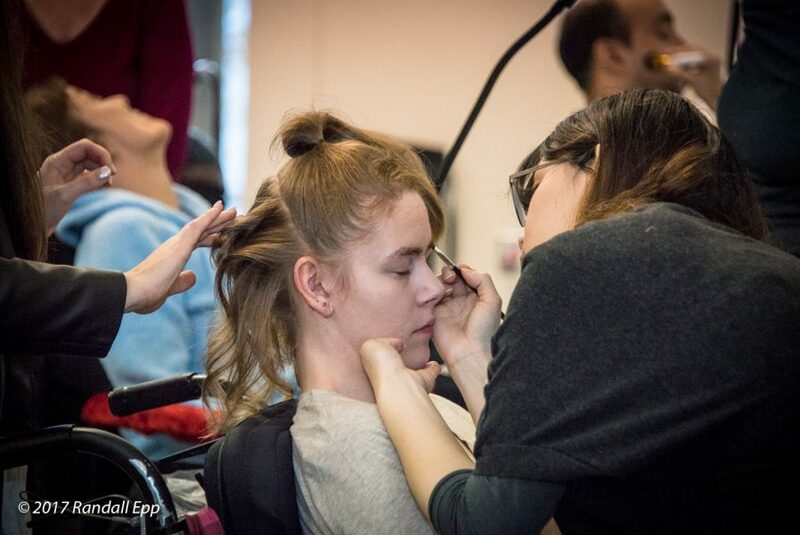 Olesya dreams to take her wheelchair dancing to another level and is pursuing a global stage: to perform at for the Paralympic Games! 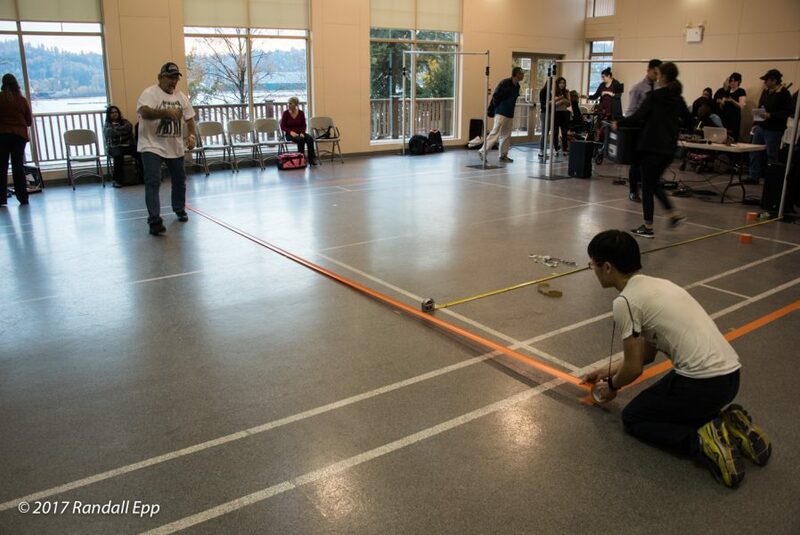 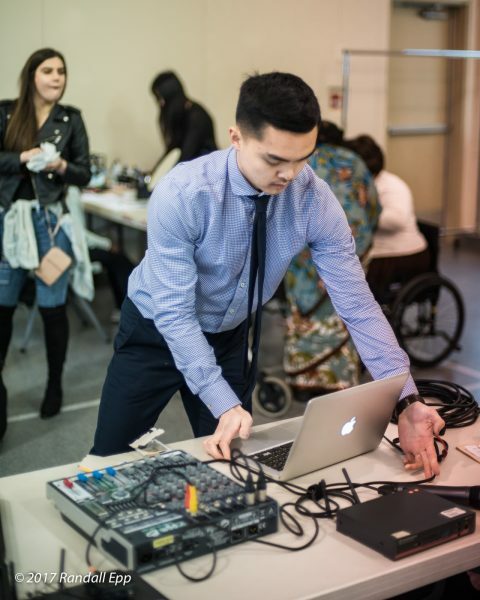 Arnold started dancing when he entered the UBC Dance Club in this spare time away from his engineering studies. 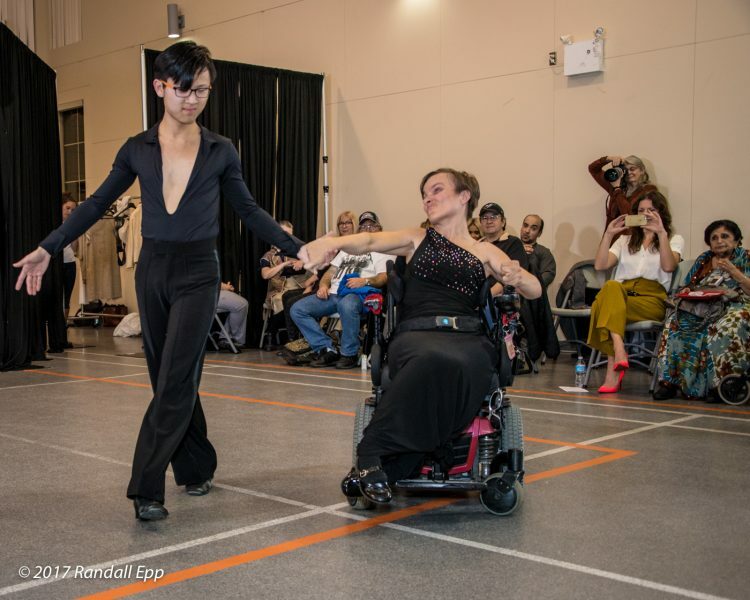 He was introduced to wheelchair ballroom dancing by Olesya four years ago, and dances with her to inspire others. 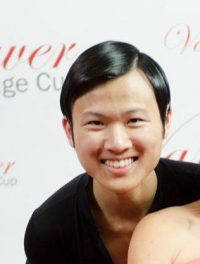 He dances ballroom competitively at the silver level, and has won awards at the Silver Latin level, and show dance awards with Olesya. 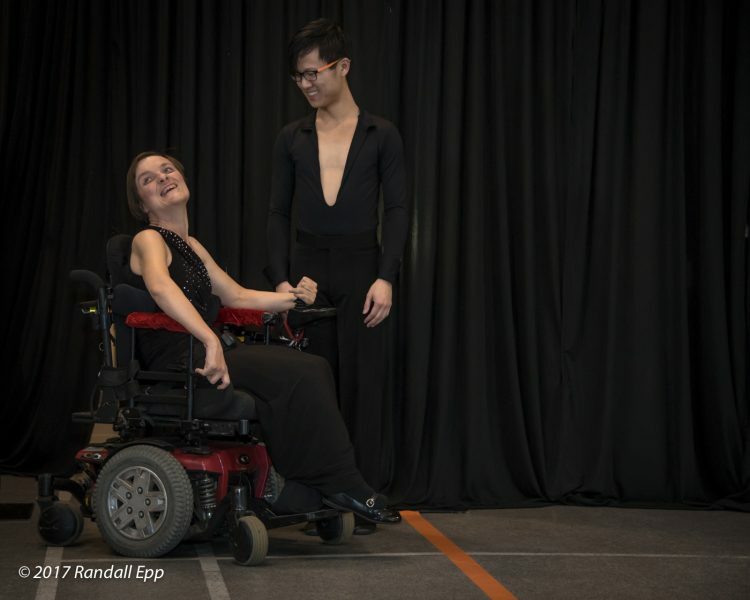 Arnold is finishing his degree but still dances with Olesia when he can, to show people that they too can dance. 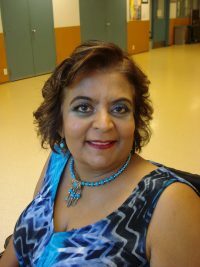 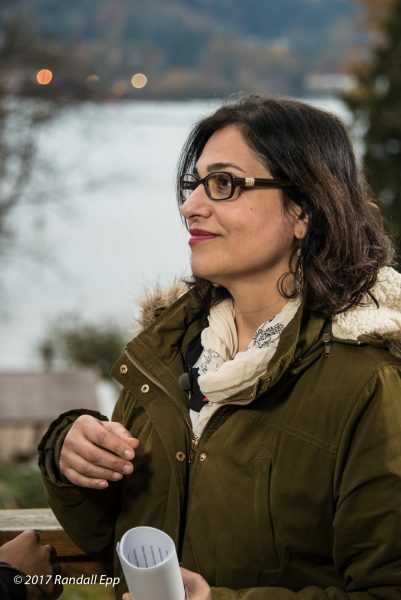 Originally from Pakistan, Tabassum moved to Canada in 1994. 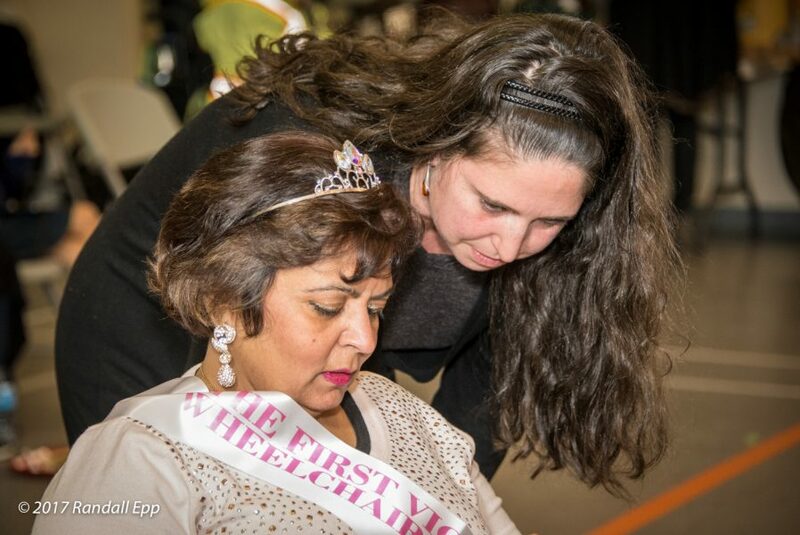 In her youth, she had a difficult run-in with polio which limits her mobility to this day. 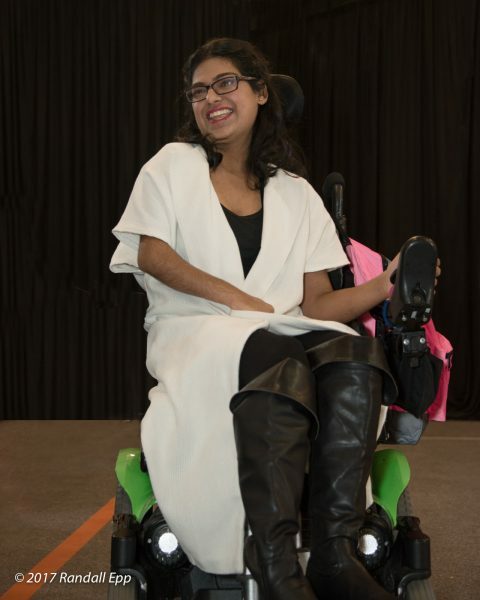 However, her life experience has made her extremely passionate about changing peoples perception of people with disabilities. 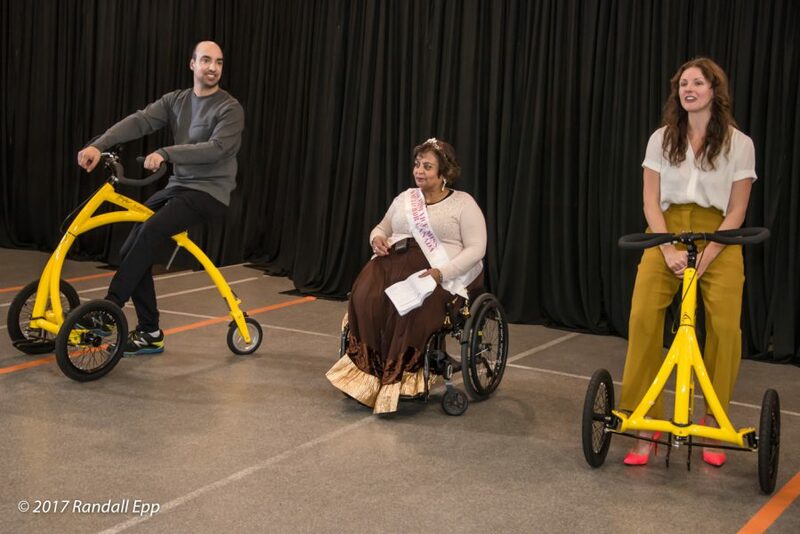 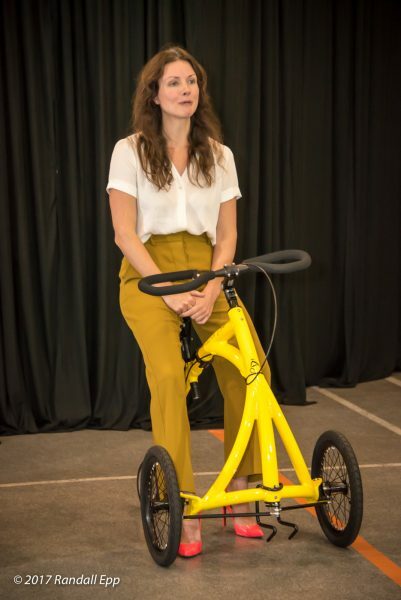 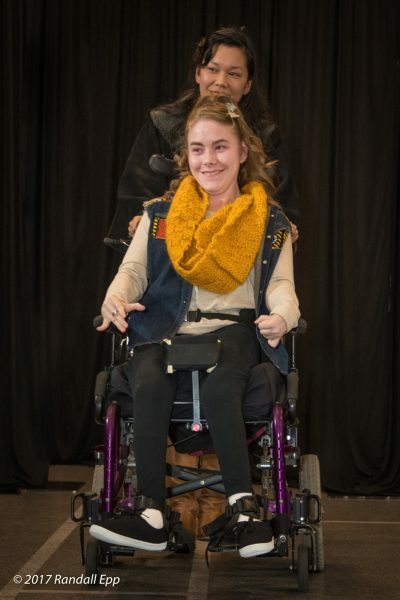 The advocate in her wanted to make a difference — to show that disabilities go far beyond their wheelchairs or supportive equipment. 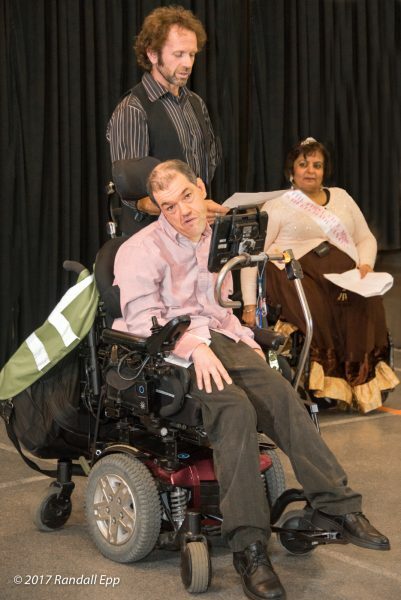 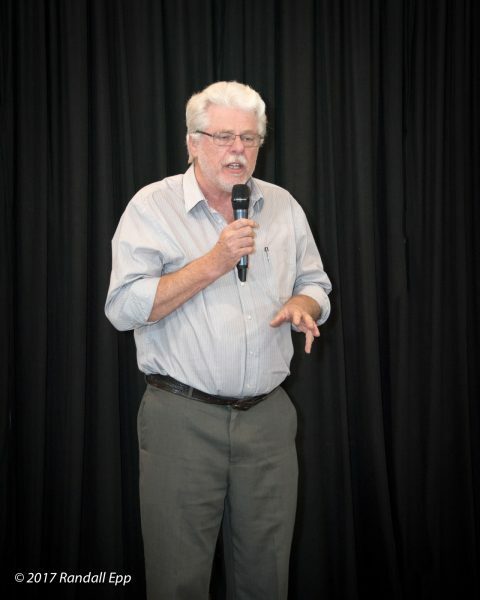 Our emcee believes that people with disabilities are different and that is their strength.  This initiative is made possible by the Community Fund for Canada’s 150th, a collaboration between the Cerebral Palsy Association of BC, the Government of Canada, and extraordinary leaders from coast to coast to coast. 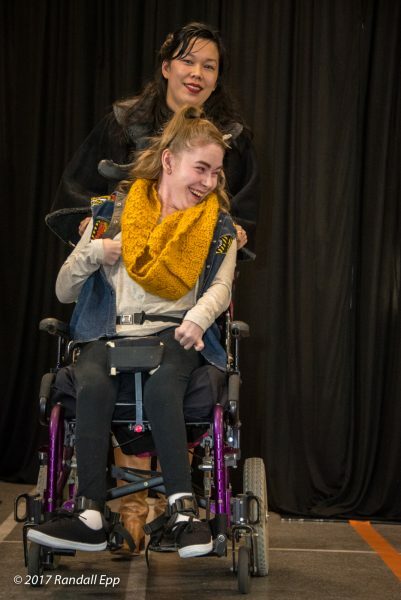 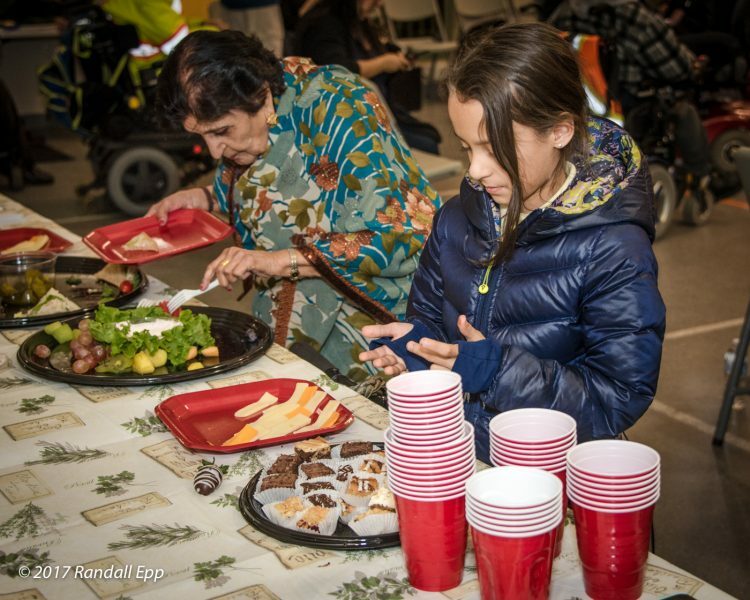 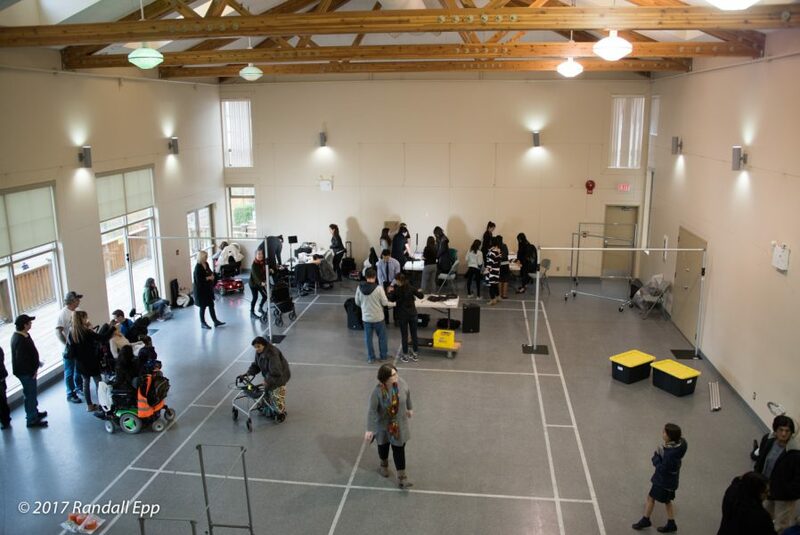 Cette initiative est rendue possible grâce au Fonds communautaire pour le 150e anniversaire du Canada, qui est une collaboration entre le Cerebral Palsy Association of BC, les fondations communautaires canadiennes, le gouvernement du Canada et des leaders extraordinaires de l’Atlantique au Pacifique à l’Arctique.